There’s no getting around it: marketers at smaller organizations face challenges and obstacles that their larger counterparts don’t. With limited headcount and budget at their disposal, it can seem like SMB marketers are always short on time and resources as they build campaigns to grow their business. 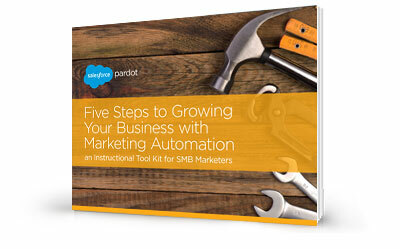 Luckily, marketing automation can go a long way towards evening the playing field—and this tool kit will walk you through getting started.